The Navy fired a civilian whistleblower who uncovered life-threatening safety risks to pilots and others from the improper testing of aircraft fueling equipment and jet fuel itself that could degrade aircraft engines, cause engine surging and, in worst-case scenarios, flameouts. The firing came June 8, the same day Rep. Walter Jones (R., N.C.) sent the Office of Special Counsel (OSC), an internal federal government watchdog, a letter asking it to investigate the whistleblower's remaining concerns about his treatment at his workplace, the Navy's Fleet Readiness Center-East (FRC-E). The whistleblower, Glenn Schwarz, is one of Jones's constituents, and FRC-E in Cherry Point, N.C., is located in his district. 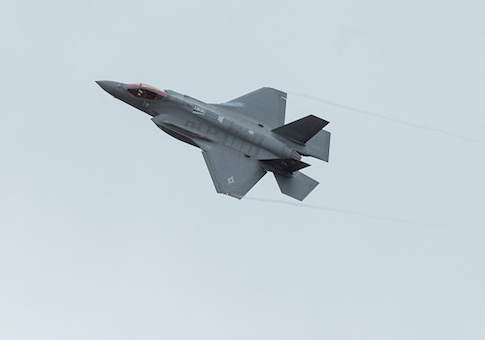 The facility provides maintenance and repair to "virtually every weapons platform the Marine Corps has flown—from the inverted gull-wing F4U Corsair of WWII fame to the Corps' Newest airplane, the F-35B Lightning II" as one of the Navy's eight fleet readiness centers, according to its website. The D.C.-based OSC is investigating the firing as an act of retaliation for Schwarz's whistleblowing, according to a document sent to a quasi-judicial agency for federal employees known as the Merit Systems Protection Board in which OSC requests to stay the firing. The OSC requested a 45-day stay while it investigates the firing, which the MSPB granted. "The U.S. Office of Special Counsel (OSC) has reasonable grounds to believe that the agency's reinstatement of Mr. Schwarz's removal is in retaliation for whistleblowing and other protected activity," the OSC said in its request for a stay. The OSC said it contacted the parties to try to resolve the matter and request an informal stay of Schwarz's removal but those efforts "were unsuccessful." John Olmstead, an FRC-E spokesman, told the Washington Free Beacon in an email that Schwarz's case "is now pending before the U.S. Merit Systems Protection Board," and personal privacy laws prevented him from discussing personnel matters to explain why he was fired. Schwarz accused FRC-E managers and employees of trying to retaliate against him since he first began complaining in 2013 that the facility was not following safety procedures laid out in the Navy air system manuals and a coworker with a history of troubling behavior assaulted him, according to his attorney. To justify Schwarz's firing, his attorney says managers leveled "trumped up" attendance procedure allegations him, as well as other false accusations that they would never have made against a non-whistleblower. Schwarz first formally complained outside the Navy about the improper testing of fueling equipment and fuel, as well as the improper disposal of fuel, in June 2015. The Navy Inspector General substantiated most of his allegations in a report released that December. The OSC then forwarded that report to then-President Barack Obama and the chairmen and ranking members of the Senate and House Armed Services Committees. Schwartz was responsible for administratively releasing aircraft for flight and ensuring all required maintenance and inspections were completed before releasing the aircraft to the aircrew. He found that fuel hoses on trucks that should have been tested every year went untested for eight years, and sensitive gauges and pressure regulators went untested for eight to 10 years. Schwarz was worried that failing to test these systems would result in an aircraft receiving contaminated fuel that could cause an engine malfunction during flight. He also said that deteriorating fuel hoses could burst while refueling or defueling an aircraft, which could cause a fire if the fuel ignited. He also reported that employees known as "artisans" were not properly testing jet fuel. To assess fuel quality and purity, the artisans were conducting visual inspections of fuel poured into buckets rather than running the liquid through the proper testing equipment, in violation of the Navy's governing manual. Additionally, Schwarz said employees were conducting unnecessary fuel flashpoint tests to assess temperatures at which the fuel would ignite. The employees, he said, mistakenly believed that the low-flash-point fuel was contaminated and discarded it. As a result, he said, FRC-E employees were mistakenly discarding 15,000 pounds of fuel each month. The employees also improperly discarded large amounts of fuel from F-35 jets landing at FRC-E, instead of reusing it in ground support equipment and other uses as the manual requires. A 2014 internal audit conducted after Schwarz's initial complaints substantiated some of his findings and 10 recommendations were made to improve quality control. However, Schwarz said the problems persisted. The Navy Inspector General substantiated Schwarz's complaints that the FRC-E employees were not testing hoses on a daily, weekly, monthly, and annual basis and that they weren't properly testing jet fuel and were wasting thousands of gallons by discarding it. The IG concluded that not replacing or testing fuel hoses annually could pose a serious safety risk because any exposed fabric in the hose could "provide a source for water to enter, migrate, and ultimately rot the fabric." "This rot could lead to a fuel spill or spray during refueling of an aircraft," the IG found. The failure to verify the accuracy of the fuel truck gauges also created a safety risk, the IG found, because "inaccurate gauges could allow to over pressurizing the filter separators, which could push sediment and water downstream into an aircraft." "In an extreme case, high pressure could rupture the filter separators rendering them unable to stop any sediment or water from reaching the aircraft," the IG stated in its report. It did not substantiate another allegation that between May and June 2015 the Marine Corps Air Station, Cherry Point, hazardously disposed of jet fuel by dumping it in the woods. The IG said it couldn't find any direct testimony of eyewitnesses to establish that it was dumped in the area and a visit to the area did not show indicators of "fuel-distressed vegetation" or "fuel odor." "Moreover, we could not identify any harmful material that may have been discharged this long after the event," the Navy IG stated in its report. This entry was posted in National Security and tagged Navy. Bookmark the permalink.